Best Western Rewards members who register and complete 2 eligible stays between February 4, 2019 and April 14, 2019 at a Best Western branded hotel in the United States, Canada or Caribbean will get a Free Night Voucher. 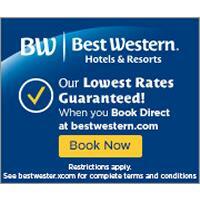 See Best Western site for details. Join now.